Though the world doesn’t know their names. There may be no Nobel Prize for Motherhood but we have the next best thing! Start your mom’s morning off right this Mother’s Day with our Smoked Salmon Benedict, served on warm melt-in-your-mouth corn pancakes. And since bubbles have a way of making every event special, we recommend pairing it with our delicious Morning Glory Mimosa, made with Montelvini Prosecco or ask the server about our extensive selection of wine on tap. Does your mom enjoy getting that little extra beauty rest? If so, let her sleep in and take her for dinner instead! Just make sure to reserve your table ahead of time as dinner reservations are filling up fast! Ready or not, we’re throwing a party! 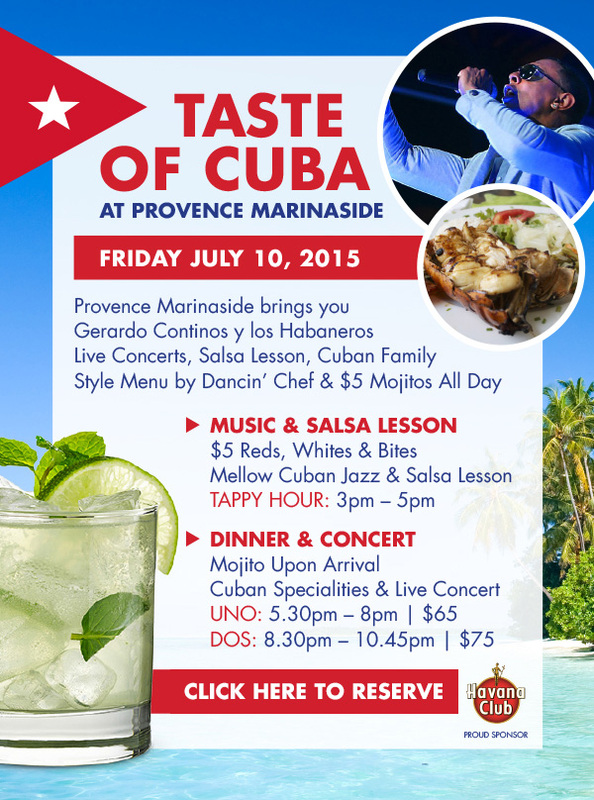 http://www.provencemarinaside.ca/wp-content/uploads/2015/04/Geraldo-Contino-y-Los-Habeneros.jpg 618 1100 Provence Marinaside http://www.provencemarinaside.ca/wp-content/uploads/2015/08/logo.png Provence Marinaside2015-04-02 03:00:312017-03-20 21:01:48Ready or not, we're throwing a party!